Growing up in the Northcountry of New York State, my friends and I equated Orlando, Florida with Kid Heaven. We imagined warm weather, blue skies, white beaches, and, of course, Disney World. Orlando was Fun. Orlando was Good. Orlando was Safe. In the last few days, however, Orlando has joined a tragic list that includes Newtown, Virginia Tech, Charleston, and San Bernardino – names that can now tighten our stomachs and lower our gaze. While we learn the details of the Orlando nightclub shooting on Sunday, we adults think about gun violence, mental illness, politics, terrorism, and extremism. We mourn, we rage, we give, we worry and, of course, our children are watching us. They can feel that something is not right. They can sense that something has happened. And for older children, they will see and hear details that could be very confusing. If I can assure them that they are safe and the world is good, then they won’t need to know how many people died, who the shooter was and what was his motivation. They will know that I am there for them, that all the adults they know and love will protect them, and that even though the world contains great pain, it is good. It is deeply good. So that is what happened this morning. On the way to their two summer camps, we talked about Orlando. I told them that the subject would probably come up. I told them that people were killed and that we don’t know all the information yet to know about why it happened. I told them that people around the world are sending love and healing prayers to Orlando. I also told them that they did not need to listen to other people’s opinions if they didn’t want to. Because people will have opinions. 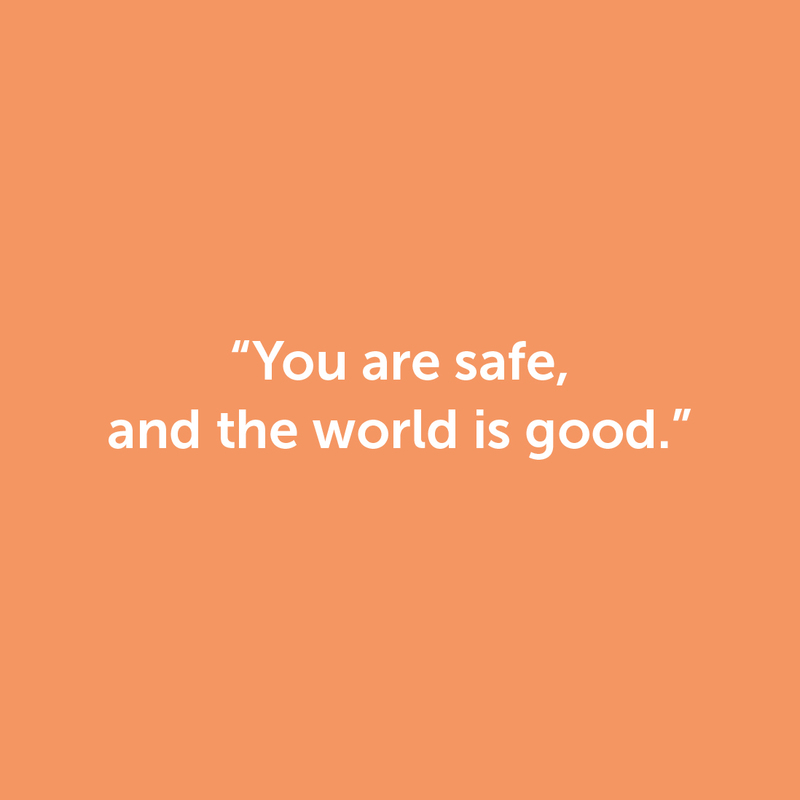 My boys are 14 and 11 so I can give them information and reassurances, but they also have heard many stories that help them feel safe and reassure them that the world is good. I want this for them because the truth is – right now – they are safe. And I deeply know that though there is great pain, the world is good. This story is about a young girl named Lee, who loves her little black dog Prince. But one day, Prince is suddenly killed by a speeding car. The girl not only has to come to grips with the abrupt loss of her dog, but she also manages questions like “Who was it? Why didn’t they stop? How could they do it?”. And the ultimate message from her loving parents is this: We love you. It is OK to be sad. We are holding you. And we will do everything we can to prevent this from happening again. This is a story that transforms fear and worry about safety and wellbeing into an impulse to help. She then told him about how all the people on their street, in their neighborhood and in their town that want to make sure that he, Dennis, is safe. News and gossip give us a great many things to fear. This story helps us shed fears that are not ours and are not a part of our daily life. Lastly, in my experience, stories can be much more effective than explanations. I don’t think you need to follow up with a discussion or make analogies with stories - just let them sink in and become a part of your child’s picture of a safe, good world. Feel free to download and share or email these stories as often as you’d like. We give permission for them to be shared freely.